In 1966, there is a record store clerk who loves her life just the way it is. One night on a train, she meets her soul mate, the man who is the key to unlocking her latent ESP, something she never thought possible. She will spend the next 14 years of her life trying to get away from him by any means necessary. 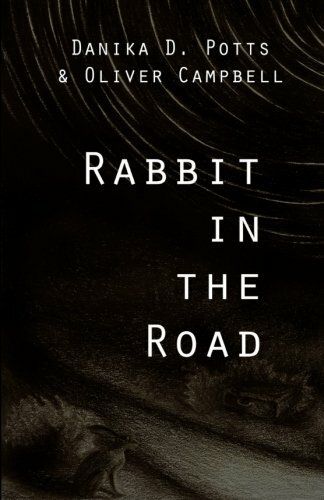 The debut novella of writing team Danika D Potts and Oliver Campbell, Rabbit in the Road is a suspenseful, shocking thriller about just how far one will go in order to preserve their way of life, and is sure to captivate and keep you reeling.